Anyone play the New Srixon Soft Feel? Thoughts? Does the yellow version look good? I was really liking the gamersoft. Looking for similar cost alternatives. Plus, a softer winter ball. I also liked the Bridgestone Extra Soft. But, that is not to be found retail anymore. The Soft Feel is a great bargain ball, firmer than the DUO and comparable to the Supersoft. The latest one also seems to spin more on full shots than previous generations. 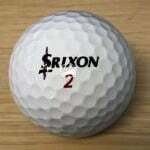 The Srixon Yellow is the best yellow color ball on the market in my opinion. The Soft Feel is a great bargain ball. Thanks, guys. 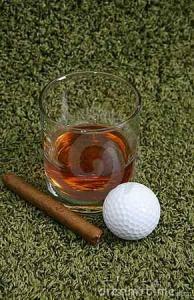 Also, often these are available by the sleeve in golf pro shops. Nothing to lose at that price. I recently picked up some of the previous generation ones, and they are good in every facet. Even get a little spin. And the srixon yellow is excellent. I'd bet the prior gens are going for a song somewhere. Best value ball on the market. Excellent performance with added durability. Grabbed a sleeve for $6. Funny how we know more than the people in the golf business. I asked for a sleeve and the person handed me a prior gen ball. I said, it has to say new on it. Just practiced with it. Nice feel putting in the house - a bit on the softer side. 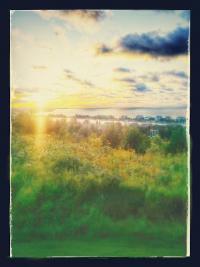 Took it outside as well. Nice feel on practice shots with a 6 iron. Wanted yellow. But, the white was nice. I like the green lettering for the soft feel alignment aid and green number. Not bad for a white ball. Could this be the gamersoft replacement? Yes, I know, 2 piece vs 3 piece. But, it seems similar and a bit softer, which I like. Do you know how far you were carrying the 6 iron compared to the Gamer Soft? Like elwhippy said, it is the best value ball on the market. Srixon is slaying it right now. I played the new soft feel in yellow ( PGA SS did not have white yet) this weekend at elevation (5000 ft.) I played it 27 holes. First 9 on Friday in perfect conditions followed by the back nine with the gamer soft, my regular ball since Jan '15. Then on Saturday played it all 18 in windy (15 mph gusting to 20 mph) and low to mid 60's on the same course- even the same pins. Greens were soft both days. This is my 11th ball auditon to replace the GS. Up to now the Volvik DS55 was the leader. Now it is the Soft Feel (SF). Driver- On a good day I have about 100 mph with the driver. My last event with the GS in Mesa AZ at about 1200 ft. I averaged about 255-260 on full tee shots. At 5000 ft in Prescott It can range up to 300 yds if I get a lot of roll- usually it is about 270 total. I found the SF to be as long or a little longer than the GS at elevation (I have not played it at lower elevation yet). It is shapeable in a very similar manner to the GS side to side or low to high for me. Irons- I would say the SF is up to a half club longer then the GS at elevation. I think the SF spins a little less on mid irons that is why it flies a nudge longer. Trajectory is similar on full shots but a little flatter on 3/4 swings. The most significant difference was out of the rough though. With the GS I can spin it a little from the rough. The SF will not. It will always produce a flier similar for me to the Wilson Duo. Wedges and short game- Full wedges behaved very similar for me and spin is also similar from the fairway cut. When I warm up chipping I have a stock chip that is 14 yards ( from reading a Dave Pelz article on the short game) . I always warm up with my SW for these. From a short cut of grass the SF seems a bit more muted of the face than the GS but the launch and spin/rollout are very similar. From thicker lies the ball requires more force to carry it a similar distance as the GS. On early pitch on the course I left these type shots short with the sw. For bump and runs I use my 52 deg wedge. Again the SF is a little more muted but rollouts are very similar to the GS. To be honest I had few of these on the course so this was a practice area feedback. Putting- The GS for me has always felt in between the low compression balls and the urethane ones. For me the SF is a little more muted off the face but similar rollout. It putts very close to the Duo Soft Spin for me; one of the 10 other audition balls. I have over 50 putters so I figure I will have one that will match it. The SF was very stable in the wind. I hit 11 fairways in the wind and 15 GIR on Saturday. Only made one bogey in the wind with it which is pretty remarkable since I didn't know how far each club would go. It felt the best of the clubface on full swings but not poor on any of them. I putted poorly with both balls but speed control was good- no 3 putts. On a side note this ball was way longer into the wind than the provx my friend was playing (15-20 yards). No real difference down wind. We have similar swing speeds with the driver. Sounds like I should pick up a dozen for the rest of the fall. Good write up, munichop. Come to think of it. The Duo Soft Spin would be a good comparison to the gamersoft. 3 piece and low/mid compression. I do like the Duo Soft Spin prior gen. But, I am not sure the new DSS would be worth the extra dollars compared to the SF. Edit: I found a Vice Tour Ball recently and that also would be comparable to the Gamersoft. I was surprised that it had a nice feel to it. Are we talking about the Srixon 2018 Soft Feel 11? Yes. The one that says new. Have you played it? I hope to use it on Saturday. Nice ball--I like it as much as the Titleist Tour Soft and the Srixon is much cheaper, esp. with the buy 4 doz. for the price of 3 which gets it down to $15/dozen. More greenside spin that the typical 2 piece ball, and the Srixon yellow is possibly the most visible yellow for those who prefer. Could be the best ball in its category. I have not found it available locally at stores like DSG but it is available on-line. I have not tried it yet but I certainly will. Let us know how you make out on Saturday. I wonder what the new VICE TOUR is like. I read that they lowered the compression significantly (from 90s to 60s I believe). Haven't tried it. Ok, yeah. DSG does not carry the soft feel by me either. I have seen it at Golf Galaxy and a local pro shop. I will let you know how it plays! Thx for sharing spartanglfr. This is starting to sound really good. If the white sleeve plays nicely. I will stock up on yellow! Yeah, you can't beat the 4 doz for 3 and personalized too. Have you compared the QST to the SF? Played them yesterday. I liked them a lot. These balls are correctly named - Soft Feel in all areas of the game! 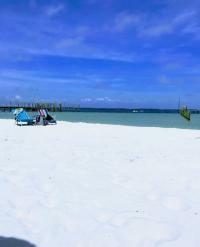 They felt lighter to me than I expected and temps were around 70 degrees. But, not like a mushy Supersoft. I see these as a great winter ball. They do run out on the greens. But, as a higher capper - sometimes the roll out helps and sometimes it hurts. I'd say they are a steal, if you go with the current buy 3 and get 1 free offer - otherwise $20 is a fair price. Played a white sleeve. I am sure I will like the yellow even better. As a slow swinging senior, I am thinking soft feel in the winter and qst as the summer ball. Sorry, DSG it could have been gamersoft and D2 Feel if you kept the GS in stock and or in the line up. The original Srixon soft feel was the first low compression golf ball that impressed me. Not the other long and soft, not the lady's brand not all the others but this golf ball. I had played it during the Winter months for many years and certainly love the low price comparing to all the other available at that time. I think it was under $20 / doz. It's amazing that they could bring the price point even low today with the "new and improved " version. 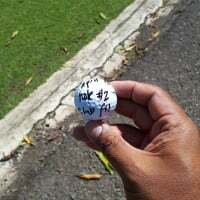 This low compression golf ball did not balloon on my tee shot, did not feel like a marsh mellow off the putter. It was not a super golf ball that will do everything but it was certainly a nice golf ball during the colder weather. And it was more durable comparing to the others at the time.